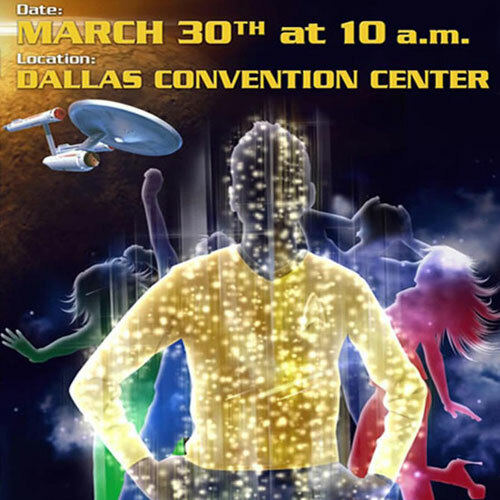 On March 30 The Texas Lottery is attempting to break a Guinness World Record for the most Star Trek fans in costume in one place at one time, and who better to make a special appearance than the first captain himself, William Shatner. 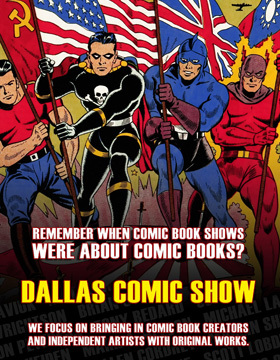 Bigfanboy.com and Dallas Comic Con will be represented at the event as well, with flyers for the upcoming May 17-19 convention (at which Mr. Shatner is a special guest) and a chance to win a signed Captain Kirk photo and a VIP pass (which are long sold out and highly desired) for the Dallas Comic Con. We’d prefer you be in costume to be eligible to win, but we won’t make that a requirement – however you MUST be present to win… if we call your name and there’s no response, we go to the next name. But let’s face it, this is about that World Record, and we want all of our fans to show up (in costume) and help break that thing. 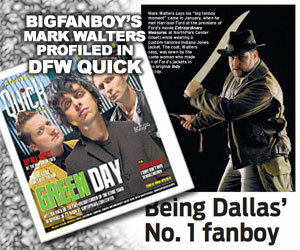 It’s said everything is bigger in Texas, so we should be breaking records bigger too, right? You can let everyone know you’re joining the fun at the official Facebook invite page here, or read all the important info below. If you’re even a casual Trek fan, this is the time to show your love for the franchise and help represent the Lone Star State in a big way. Hope to see you there. We hope you are already making plans to join us in Dallas for the Texas Lottery’s Star Trek™ scratch-off launch event and Guinness World Record attempt! Joining the Texas Lottery will be none other than William Shatner who will scratch the first Star Trek themed ticket. Mr. Shatner will be joined by other VIP’s and the event will be emceed by television personality Steve Kemble. DJ Marshall “Master J” Leak III will provide musical entertainment at this star-studded scratch-off launch event. Join us for your chance to win a trip for two to the Star Trek Convention in Las Vegas! This event is free and open to the public, but you must be at least 18 years old and dressed as a Star Trek character to enter the drawings. Like us on Facebook, follow us on Twitter and visit us online at www.startrekfansunite.com! On March 30, 2013 the Texas Lottery will attempt to set a Guinness world record by having the most people in Star Trek costumes at one event! To kick-off the new Star Trek scratch-off game, we want you to join us and WILLIAM SHATNER at 10 a.m. at the Dallas Convention Center in your Star Trek costume! We need at least 1,064 attendees in costume to break the record. Share this with fellow fans and follow the Texas Lottery on Facebook and Twitter for updates. 1) All participants must be wearing costumes representing characters from the Star Trek universe and extended canon. 2) Characters or alien races that have not appeared in official Star Trek canon releases (including television series, motion pictures, novels and comic books) are not permitted. 3) To qualify, all costumes must be full, head-to-toe representations of the chosen character. 4) All participants must wear the costume for the entirety of the attempt. 5) All participants must be in position simultaneously and remain so for a minimum of 10 minutes. 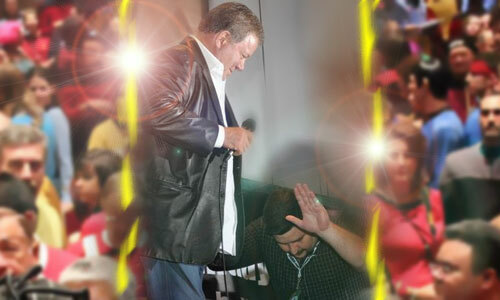 6) A Star Trek expert must be present to attest to the authenticity of the costumes. Details of this individual’s qualifications must be submitted as part of the evidence. 7) The eligibility of characters and the acceptability of costumes to be considered for the attempt remain at the discretion of Guinness World Records.